Reducing ways in which pests can access collections is essential as discussed in our prevention pages but no building is hermetically sealed and, even with the best procedures in place, pests are already in your building or will always find a way in. That is why consistent and ongoing monitoring of pests populations is an essential element of integrated pest management. It takes time after first implementing a monitoring program to build up an understanding of a building or site’s particular ‘ecosystem’. The Natural History Museum of London has a case study highlighting the importance of constant monitoring. Generally a year’s worth of data provides a good baseline and future data can be used to track trends and make sure that pest populations do not vary significantly in a way that would indicate an outbreak. A good monitoring program will have an effective plan for trapping pests in a way to provide useful data, as well as a way for storing and presenting the data that allows staff to make sense of the results and effectively present them to others in the institution in a way to further the goals of the IPM plan. The resources on this page are designed to provide useful information on how to implement this stage of an IPM program. IPM Guide for PMPs in Museums & Galleries provides a general overview of working in a museum environment, and the unique challenges that museums present for PMPs. 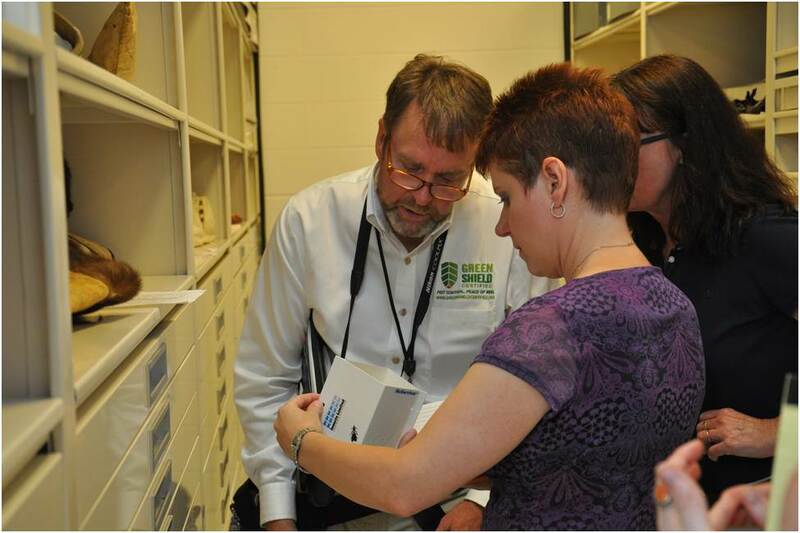 See also the papers presented in the Monitoring & Control session of the MuseumPests 2014: Integrated Pest Management for Museums, Libraries, Archives an Historic Sites conference. New in 2015 – Bed bugs have become an increasing concern for libraries with circulating collections. Bed Bugs Lifecycle and Identification was created by IPM-WG members to provides information on materials and tools that may be useful for monitoring for bed bug infestations. Visit the Solutions – Case Studies page to learn how three libraries dealt with bed bug problems.